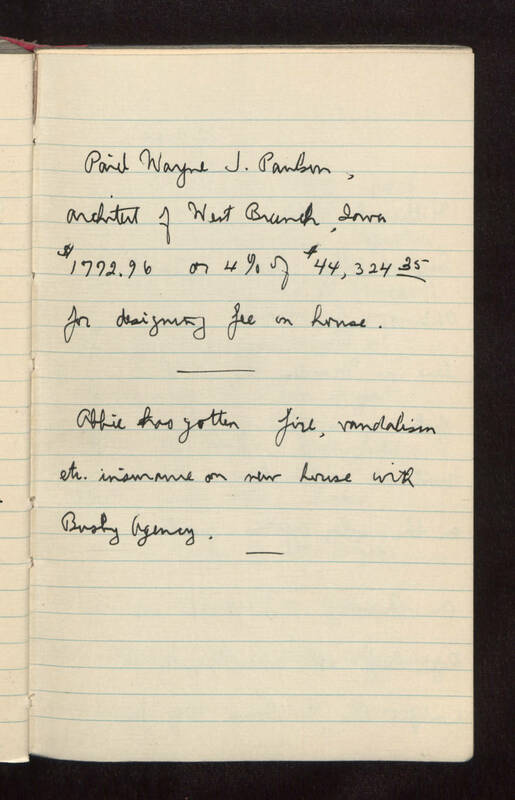 Paid Wayne J. Paulson, architect of West Branch, Iowa $1772.96 or 4% of $44,324.35 for designing fee on house. Abbie has gotten fire, vandalism etc. insurance on new house with [Busby? Bushy? Busky?] Agency.